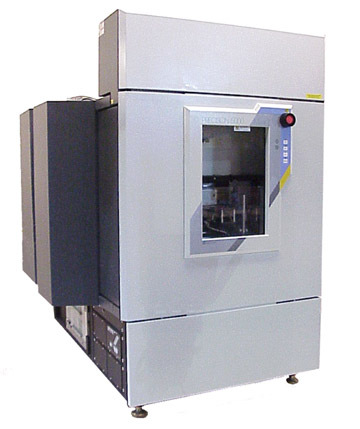 AMAT P5000 Mark II Hybrid System. Two MxP Etch Chambers, One PECVD Nitride Chamber. Phase III handling system. 28-line onboard gas panel. Integrated endpoint system with 2 monochromators. Currently configured for 100mm wafers. System is fully configurable to your specifications..
Chamber 1 Description MxP Etch chamber configured for 100mm clamped Oxide process. Chamber 2 Description MxP Etch chamber configured for 100mm clamped Poly process. ENI OEM 12 RF Generator. Can be configured from 100-200mm. Chamber 4 Description Standard Lamp Heated (100-150mm capable) Configured for 100mm Nitride Process. ENI OEM 12 RF Generator Can be configured from 100-150mm. Accessories Includes Modular Remote Frame.